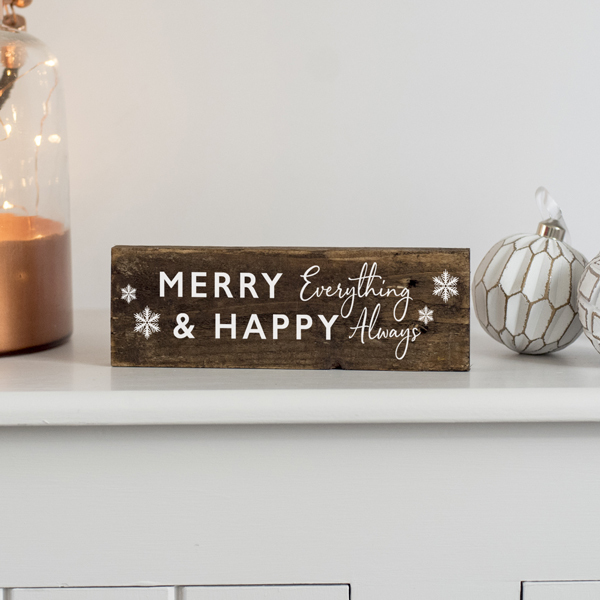 Brand new for Christmas 2018 comes this Merry Everything Christmas Sign. Each sign is made from rustic reclaimed wood, waxed for a rich dark finish with lettering in white. Designed to sit on a shelf or mantle piece. The sign reads ‘Merry Everything and Happy Always’. A heartwarming phrase to display in the home over the festive season. 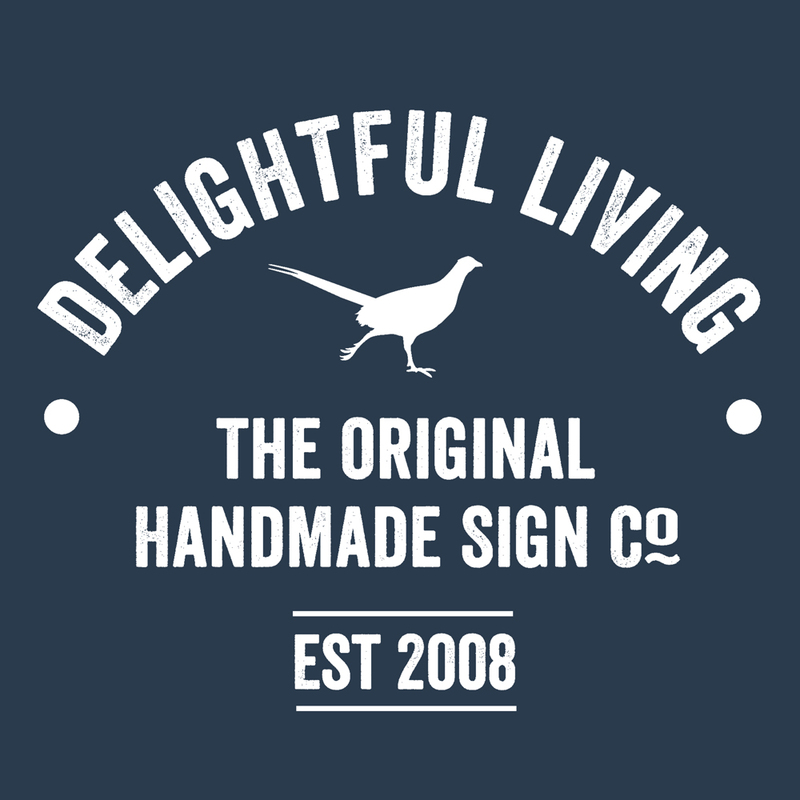 Each Merry Everything Christmas Sign is hand cut, waxed and printed to order in our Derbyshire workshop. 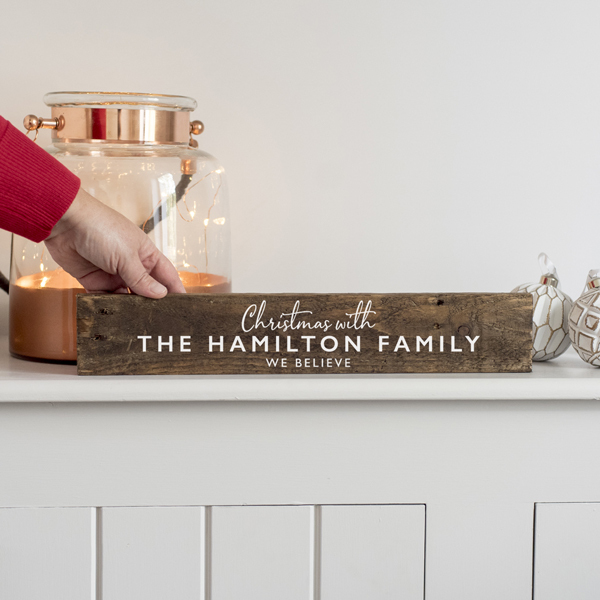 Merry Everything and Happy Always… such a lovely phrase to display in the home over the festive season! 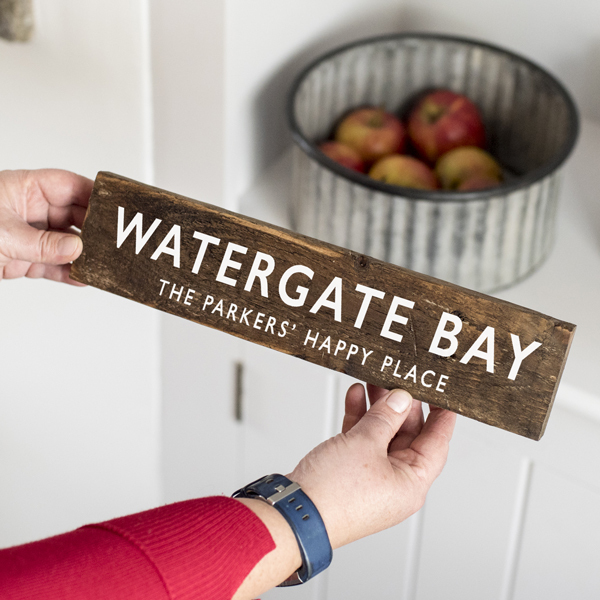 Using reclaimed wood gives each sign its own unique finish. The rustic wood may have old nail holes, knots and uneven edges creating an authentic aged appearance. The sign is designed to free stand on a flat surface. Looks beautiful on a shelf or mantlepiece and adds a rustic country feel to your home at Christmas time. Bring out year after year, a family decoration to be treasured this Christmas and always. Approximately 22cm long x 9cm tall x 1.5cm deep – this may vary depending on the wood we are using. Not suitable for outdoor use. 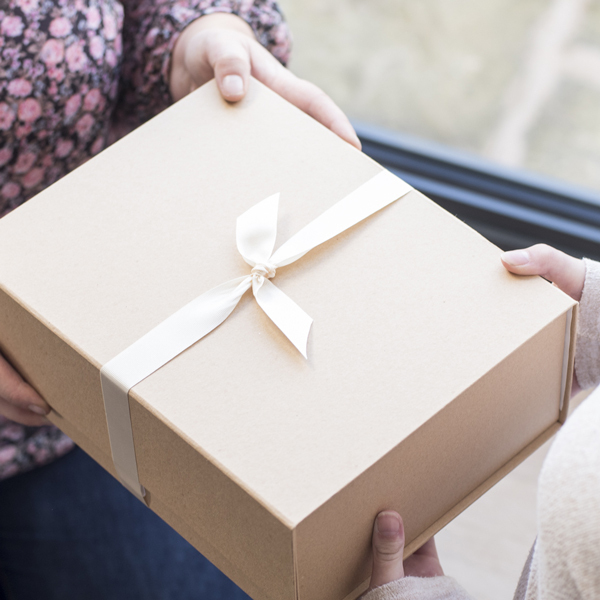 Please send us an email and we will get back to you as soon as possible. I consent to Delightful Living collecting my details through this form.